Ian Cohn is a New York State licensed Physical Therapist at Professional Physical Therapy. After graduating from West Virginia University with a Bachelor's Degree in Athletic Training, Ian went on to receive his Doctoral Degree in Physical Therapy at Long Island University. Ian specializes in Functional Manual Therapy. He is a Certified Athletic Trainer and has completed coures in IPA Core First Strategies, IPA PNF 1 and IPA Functional Mobilization 1. Kevin Kenefick is a NYS licensed Physical Therapist who began working with Professional as a Physical Therapy student in 2016 while earning his Doctorate at The University of Scranton. After graduating, Kevin began working full-time for Professional at our Chelsea office. Kevin is an advocate of wellness and enjoys helping his patients understand what to expect during Physical Therapy as well as giving them the tools to maximize their own recovery. 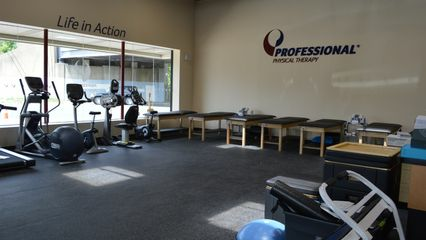 Kevin’s specialties include: Advanced Manual Therapy techniques/Half-marathon and marathon training/Soccer conditioning and rehab/Baseball and other overhead athletes/Powerlifting and Olympic style Strength and Conditioning/Yoga and Pilates/and utilization of the McKenzie Method with his spine patients. Kevin has a a diverse array of manual and neuromuscular techniques to restore function in patients with musculoskeletal dysfunction. Lauren Conheeney is a New York licensed Physical Therapist at Professional Physical Therapy. After graduating from Franklin and Marshall College with a B.S. in Government, Lauren went on to receive her Masters Degree in Occupational Therapy at Columbia University. Lauren specializes in Orthopedic diagnoses of shoulder, elbow, wrist and hand with advanced skills in splinting. Lauren has certifications in Lymphedema and Hand therapy and is also a good-standing member of the AOTA. Michael Goldstein is a New York State licensed Physical Therapist and Clinical Director at Professional Physical Therapy in Chelsea. Michael received his Doctoral Degree in Physical Therapy at SUNY- University at Buffalo. Michael specializes in Orthopedics and is a Certified Clinical Instructor. He also holds a certification in Selective Functional Movement Assessment in addition to his Rock Blade Certification. Michael is a good-standing member of the APTA. Zarah Anvery is a New York State licensed Physical Therapist at Professional Physical Therapy. After graduating from UNY New Paltz with a Bachelor's Degree in Cellular and Molecular Biology, Zarah went on to receive her Doctoral Degree in Physical Therapy at SUNY Downstate Medical Center. Zarah specializes in Orthopedics, sports injuries and treating post-op/surgical patients. She is CPR Certified and is a good-standing member of the APTA. Benjamin Anayati is a New York State licensed Physical Therapist and Occupational Therapist at Professional Physical Therapy. After graduating from the University at Albany with both a Bachelor's Degree in Human Biology and Psychology, Benjamin went on to receive both his Master's Degree in Occupational Therapy and his Doctoral Degree in Physical Therapy at the University of St Augustine for Health Sciences. Benjamin specializes in orthopedics, neurology and geriatrics. He has certifications in CPR/Basic First Aid and Bloodborne Pathogens.